Clogged drains are not an uncommon problem in a household. Whether your kitchen sink is clogged with food and other debris or your shower drain is clogged with hair and soap, it is likely you will deal with a clogged drain sometime in your life. 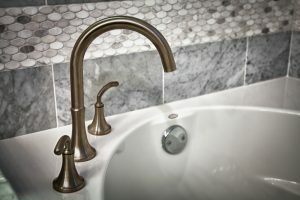 Seeing the water backing up or noticing that your feet are now submerged every time you take a shower are the first signs that you have a clogged drain. Like most plumbing problems, we would suggest that you take care of this as soon as you possibly can. It will only get worse the longer you ignore it! It could even end in a burst pipe, which is not something you want to deal with. Luckily, unclogging your drain can be super simple! 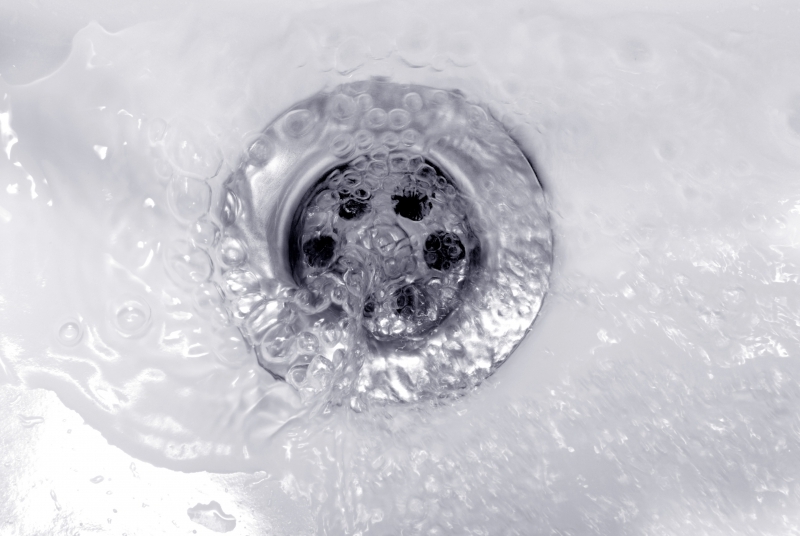 There are many different methods that can work to unclog your drain. Some may work better than others, especially depending on the type of clog you have. At Cupertino Plumbing, we are experts when it comes to drains and plumbing. We know that you don’t always want to call a plumber when you can solve the problem yourself, but when the problem is worse than you originally thought, we will be there to help remove the clog safely, without damaging your drain. If you have tried everything and have had no luck with your clogged drain, be sure to contact our plumbing experts. We will have your drain unclogged in no time! In this blog, we are going to go over some of the different methods you can use remove a clog from your drain. Read on and try these different methods, or simply let us do it for you! This may be one method you have heard of before. Simply mix a third of a cup of baking soda and a third of a cup of vinegar. Pour it immediately down the drain. The fizziness of this mixture will help to remove and break down grime, hair, and other debris that have built up in the pipe. Let this mixture sit in the pipe for at least an hour, you can even leave it overnight if you want. After letting this sit, wash it out with hot water. This should help break down the gunk inside your drain and unclog it. If it doesn’t work, try another one of these methods! Yes, unclogging a drain can be as simple as dumping boiling water down it! Use a giant pot or kettle to boil water in. Boil as much water as your pot can hold. When you pour the water down the drain, you do not want to pour it all at once. Instead, pour it in stages. Let the boiling water work some magic before you pour more of it down the drain! Two or three stages will do. 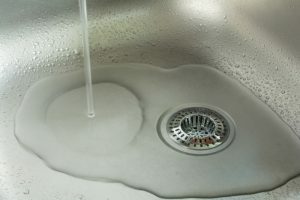 Allow the water to sit in the drain for a few seconds before pouring more down into the pipe. This is an easy way to unclog the drain, so if this doesn’t work, you may want to call in the experts! Take a wire hanger and undo it, turning it into a long hook. While this may not be efficient with removing clogs that are deep within the drain, it can help you remove hair, grime, and debris closer to the surface, which could help make other methods more effective at removing the clog deeper in the pipe. You will need to remove the drain cover to do this. If you do that and see built up hair and soap, you know where to start! This can get pretty nasty, but it will help unclog your drain. If you thought that plungers could only be used to unclog a toilet, you are wrong! They work great when trying to unclog a sink or tub drain. Using a plunger is pretty self-explanatory. The pressure that the plunger causes can help push built up grime and debris through the drain and pipe, clearing it up and allow for your drain of work as normal! This is an easy and chemical-free method for removing clogs, but it may not work with larger clogs. A drain snake is an effective method used to unclog drains. These long metal rope is flexible and has a metal spiral at the end. The metal spiral helps to cut up the clogs, which unclogs the drain. This is another simple method and it can be used with the baking soda and vinegar method for an even more effective clog removal. While chemical products may work well to remove clogs, they are not good for the environment. But they do work! Simply purchase a liquid plumber and follow the directions on the back. If this still doesn’t work, it may be time to call in the professionals from Cupertino Plumbing! If you try all of these methods and still have a clogged drain, our team can help! We are experts in plumbing and can help remove the clog from your drains and allow you to get back to worrying about other things. Let us handle your clogged drain. We will take care of the problem quickly and efficiently. Contact Cupertino Plumbing to get help with removing a clog from your drain! We proudly serve the San Jose area and offer a variety of plumbing services to help you when you need it most!